With less than two weeks to go until Prudential RideLondon-Surrey 100, we're taking a closer look our #TeamSCT. In January 2015, Simon’s two year old grandson Theo was diagnosed with an aggressive cancer and has since been in and out of Great Ormond Street Hospital (GOSH) undergoing treatment. Theo’s parents Jeremy and Yvonne were able to stay just two minutes away from GOSH at The Sick Children’s Trust’s ‘Home from Home’ Guilford Street House, meaning they could be at Theo’s side at a moment’s notice. 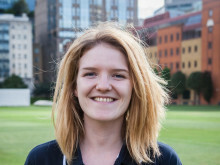 Simon has excelled at many sports, including rugby, swimming, sailing and mountaineering. He started skiing at just eight years old, and during his twenties was a semi-professional skier, competing for his army team. Simon is able to keep up with the competition on flat ground, but feels that when a hill looms ahead, the others zoom ahead. We wish Simon the best of luck. 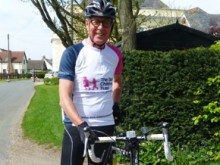 70 year old Simon Marchant will be undertaking the Prudential RideLondon-Surrey 100 to raise money for The Sick Children’s Trust. Gregg Thompson will be cycling 100 miles in the Prudential RideLondon-Surrey 100 to raise money for The Sick Children’s Trust. 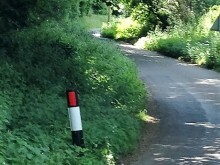 #Simonsays...It's time for hill training. 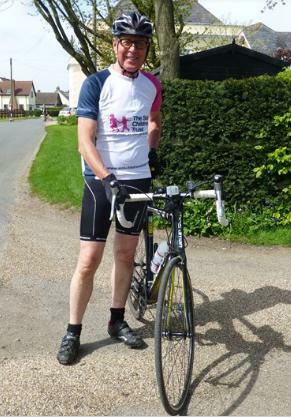 Simon is one of our #TeamSCT RideLondon-Surrey fundraisers - see how his training's going! It's seven weeks to go until Prudential RideLondon-Surrey 100 and one of our #TeamSCT members, Simon Marchant, will be sharing his training updates with us. Simon is the Grandad of a little boy Theo who been undergoing treatment at GOSH and we have supported his family at Guilford Street House. 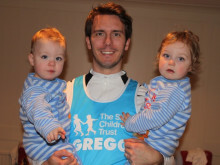 Simon is now raising over £1,000 for The Sick Children's Trust to say thank you.